Published on 23 July 2012. 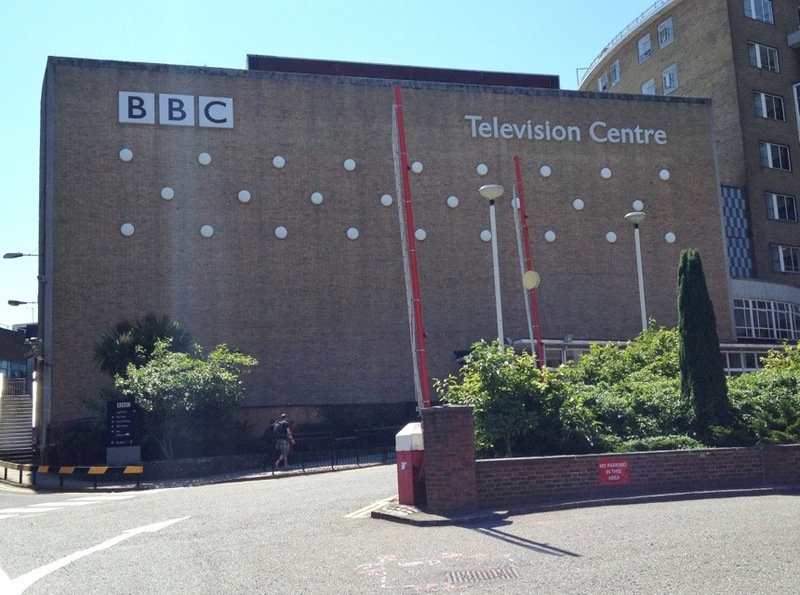 This is, of course, BBC Television Centre. Wendy and I were here for a tour today, and also got roped in to being in the audience of a daytime quiz show! It’s very much a building of its time. It now has a slightly eerie deserted feeling to it – for me, it was a bit reminiscent of working in Newcastle General Hospital right before it closed down. That said, it was a great tour, and I’m glad we took the chance to do it while we could! This 1,737th post was filed under: Media, Photo-a-day 2012, BBC.